I experienced this bug playing The Seeker, Slayer, Survivor DLC. Thanks for your report! This will be fixed in v4.1.2. This bug also occurs during the animancer-survivor trial when the second wave of constructs spawn. It looks like it can happen randomly. I encountered it once in Ghul-survivor challenge, but reloading the save helped. Sadly, now I encounter it repeatedly during skeleton-survivor challenge (4 times in a row). 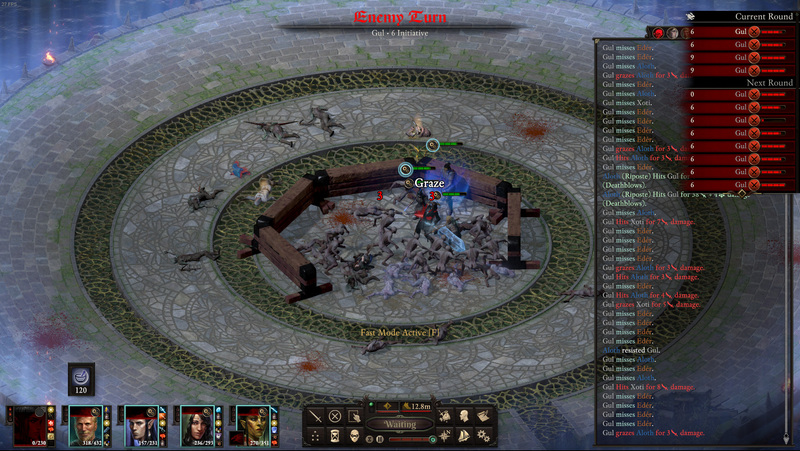 Also, at one try, AI got stucked during its initiative, which made finishing the fight impossible. Is there any ETA for update 4.1.2?